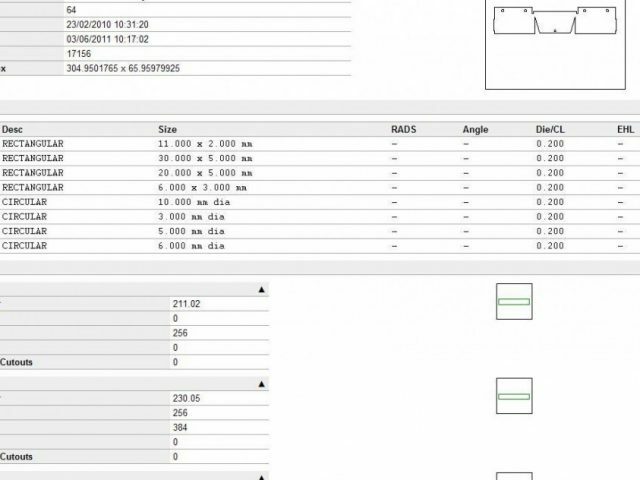 We have listed out below the main design steps that we take when developing your sheet metal work with our Radan software. The information we receive from our customers may be in the form of a 3D SAT or STEP file, a 2D DXF, DWG or PDF file or paper drawings. Sometimes we will be given a sample to copy or adapt to the specific needs of our customer for their own project. The majority of the time if the sheet metal work has any bends we will generate a 3D model as the starting point for the project. 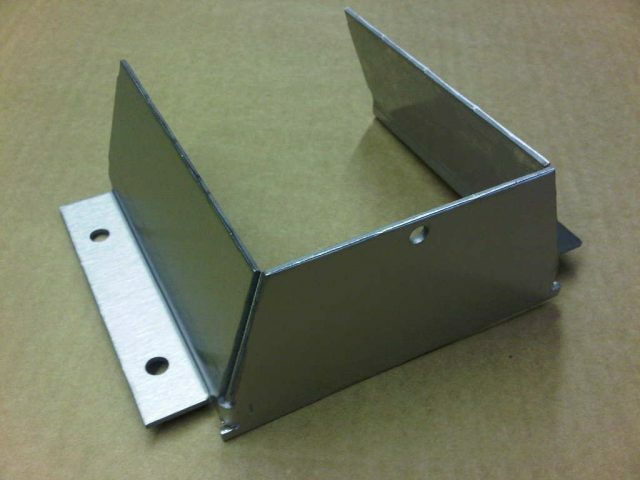 This enables us to check out the fit of several sheet metal worked parts that might have to fit together such as the brackets shown here with a stainless steel enclosure that it has to align with. 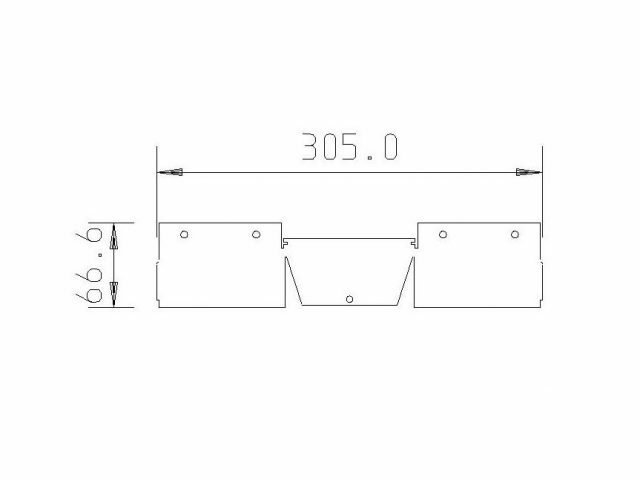 Often we are called upon to supply this 3D sheet metal part data back to our customers for their checking before we start production and this can be very helpful in checking our customers own drawing dimensions. 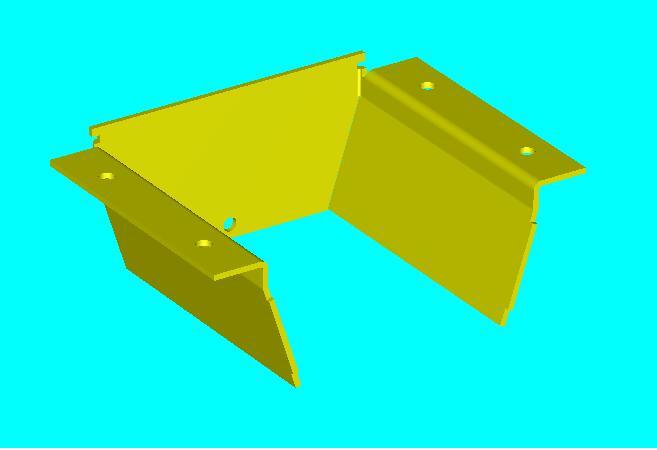 The 3D software model of the sheet metal work is then used to ‘unfold’ the parts into developed, flat, bracket blanks. 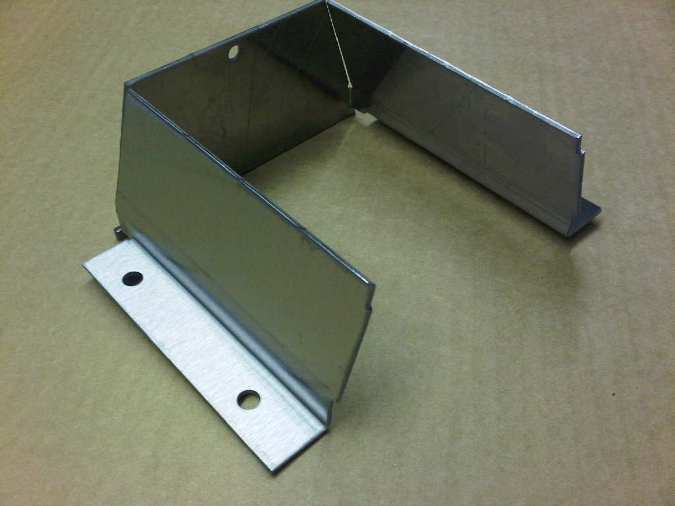 This process takes care of any sheet metal gauge bend allowances that will have to be applied to the specific part thickness and material type. 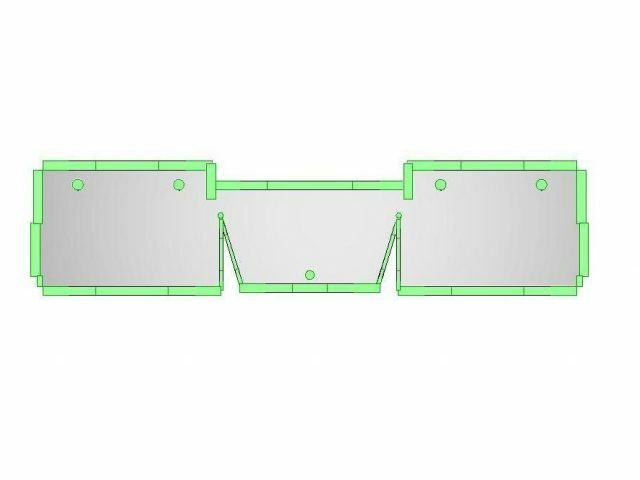 If done correctly this will enable the CNC bent bracket to fold back up to the correct sizes to match the original 3D sheet metal model. This also has the advantage of removing the need to try out sample bracket parts first for simple sheet metal work as the trial work can be carried out within the software. 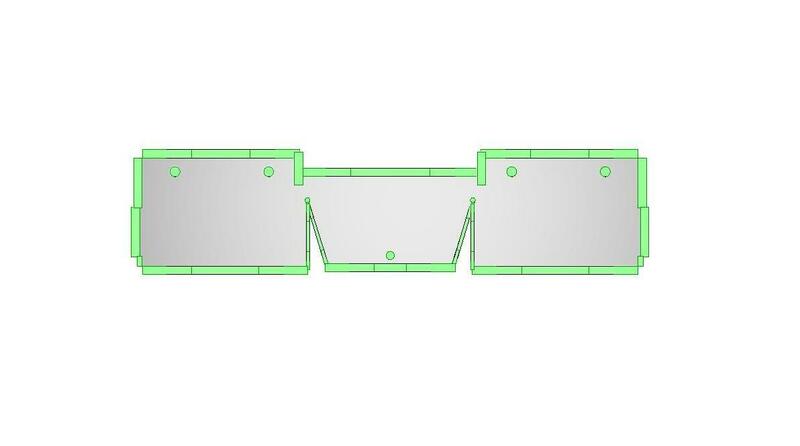 The next stage is to clean up any corner notches that will not suit the standard CNC tooling, ensure all the details on each face of the bracket are correct to the 3D sheet metal model and add any inspection information that might be important to the manufacturing processes for the sheet metal work. 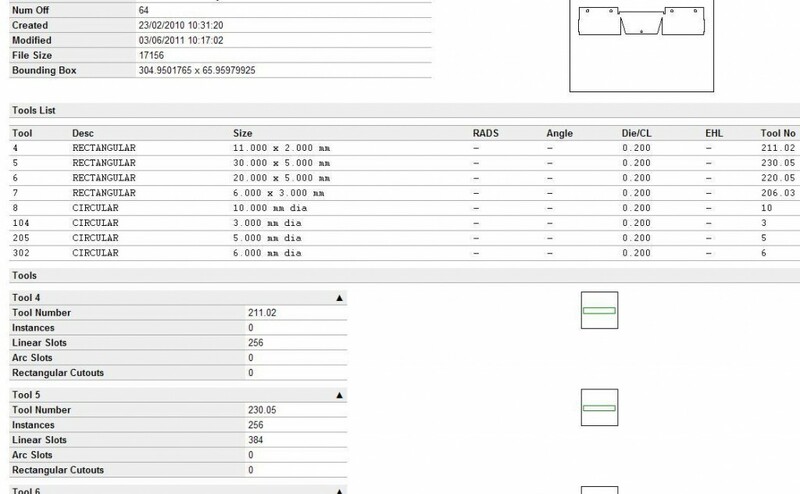 The Radan software can use our extensive standard CNC Trumpf tool library that we have to try and match features in the sheet metal bracket with the correct CNC tool. The library of parts can be seen on the website under the tooling section. 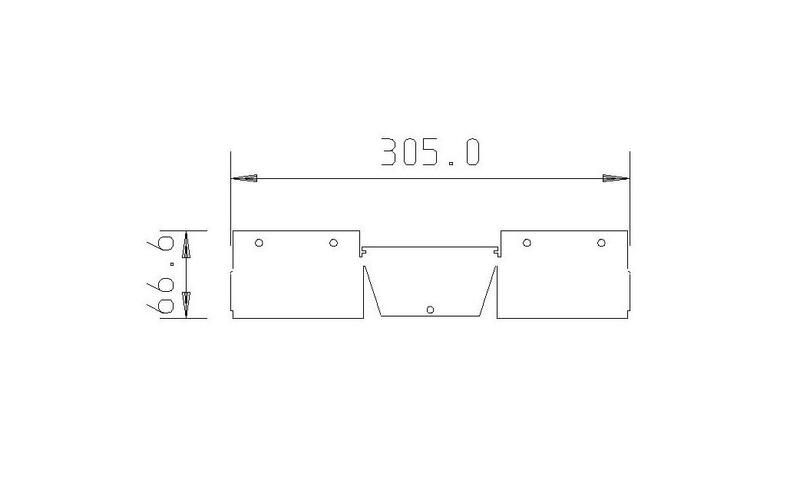 This is the stage where the skill of the CNC programmer is also needed to ensure the correct punch press tooling is selected and the least number of hits is used to produce the most efficient CNC punched sheet metal bracket. This is also where we have to decide how the sheet metal work will be removed from the parent metal sheet. It may be tagged at its corners, CNC punched completely out of the sheet to be removed by hand or CNC punched out and allowed to drop through a chute in the either of our Trumpf punch presses into a collecting bin below. This method is usually used on small sheet metal work parts like this bracket that may not have an important cosmetic surface finish. 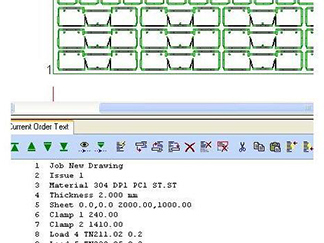 Our Radan software nester utility is then used to find the best fit of the sheet metal bracket to a given size of sheet metal. 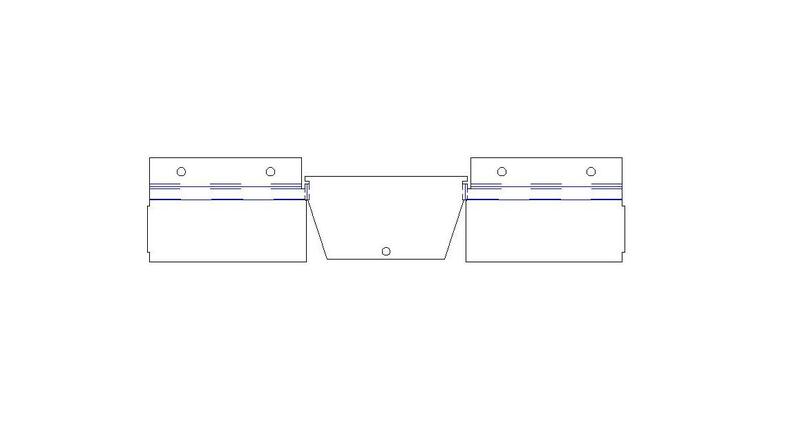 It may be that a wholes sheet is used such as a 2M x 1M sheet or a 2.5M x 1.25M sheet. 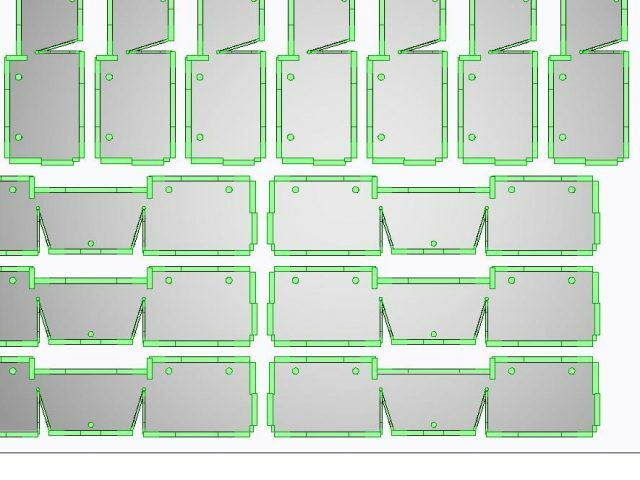 Smaller sheet metal parts can be CNC punched from remnant sheets from other jobs, the Trumpf CNC punch presses are particular good at this with their ability to CNC punch all over the whole sheet no matter how small it might be. Odd shaped parts can be fitted together and smaller parts CNC punched from the gaps between larger sheet metal parts or even from within window features. 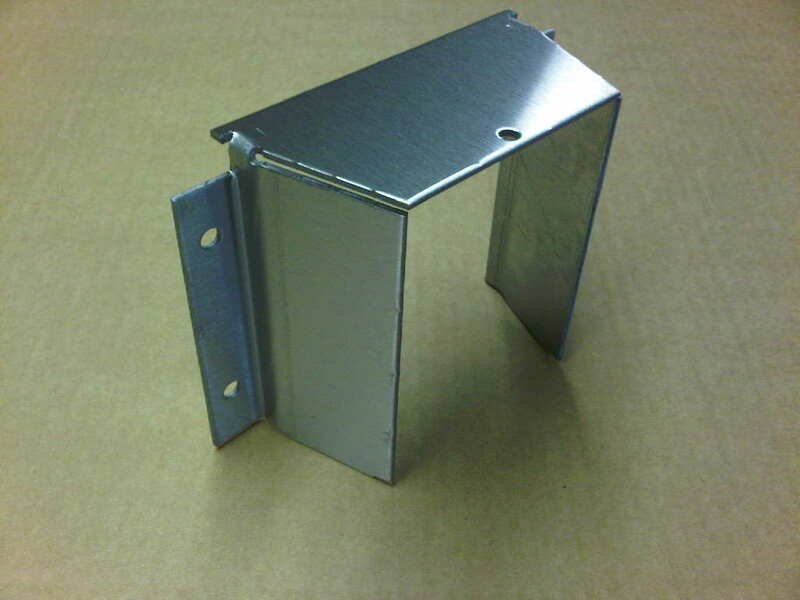 The better the fit that we can achieve the higher the sheet metal material yield the cheaper the final part price will be. This becomes all the more important with more expensive materials such as stainless steel alloys, aluminium alloys and brass or thicker sheet materials. With the Trumpf CNC punch presses we can program to produce sheet metal parts from between the machine clamps enabling still more sheet material usage. 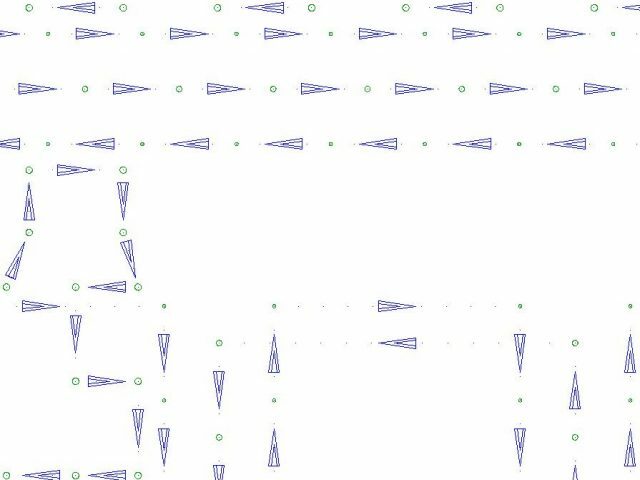 The software is also used to check that all the CNC tooling and individual sheet metal parts are not overlapping each other. It is also important that the CNC nested sheet is strong enough in production to hold together whilst being CNC punched on our Trumpf punch press machines. This is a factor that the CNC programmer has to have in mind when CNC punching a large sheet of metal with small sheet metal components. 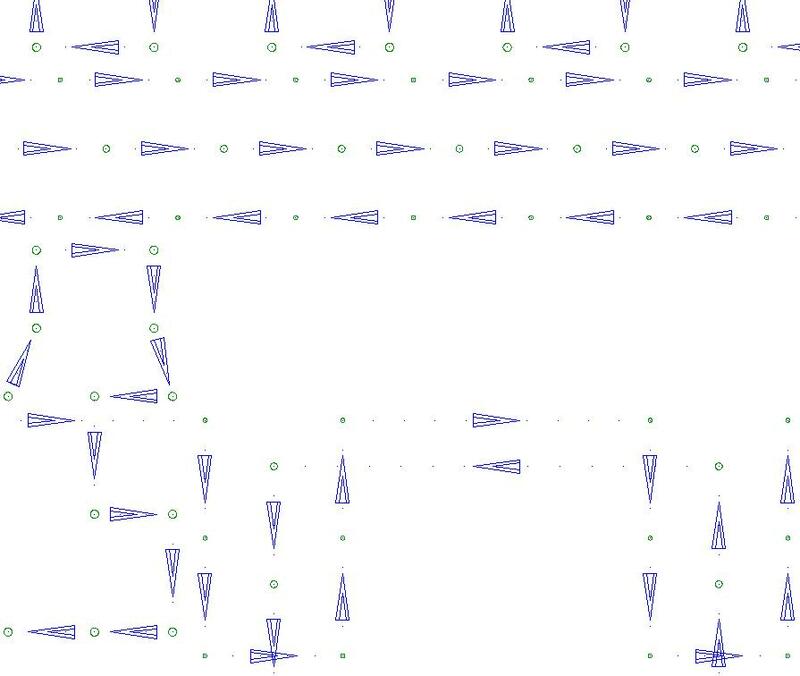 The exact order that the individual CNC tools are punched into the sheet metal can be controlled which is important if you have forms in the sheet metal work such as louvres, dimples, tapped plunged etc as they need to be CNC punched after any other holes or they will be damaged by the head of the Trumpf machine. This stage of the CNC programming allows us to see on the screen within the software what the Trumpf CNC punch presses will do when the sheet metal is being CNC punched. 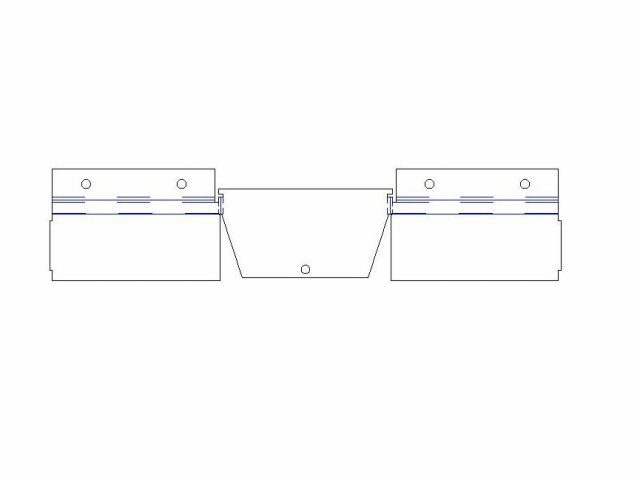 At this stage any strange movements of the sheet metal can be corrected to give the best punching path is production for these brackets. The exact tooling and its position on the punch press tooling rail can be printed out in a report to aid the punch press setter. 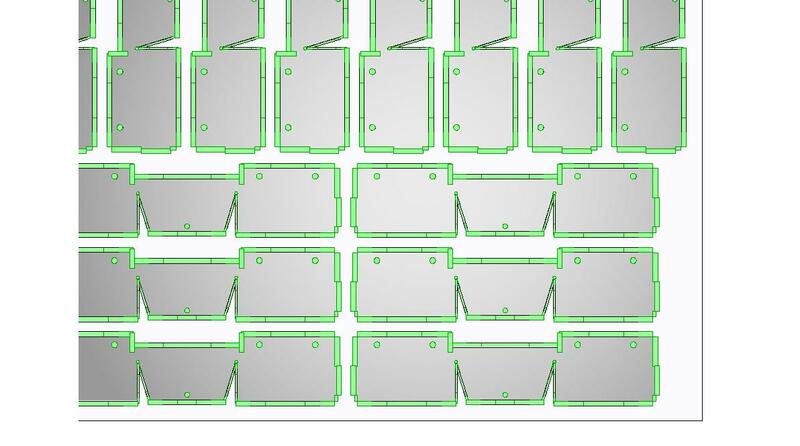 The final parts after CNC punching, de-burring and CNC bending has been completed. The sheet metal work is now finished.